The four-part miniseries shows tiny burgers as you've never seen them before. Chicago’s James Beard Award-nominated chef Tanya Baker is a White Castle Craver. New York chef and restaurateur Jordan Andino is, too, as is former Top Chef contestant Edward Lee. Chef Marcus Meacham, hailing from Columbus, Ohio, also considers himself part of Craver Nation—White Castle’s rabid fan club. 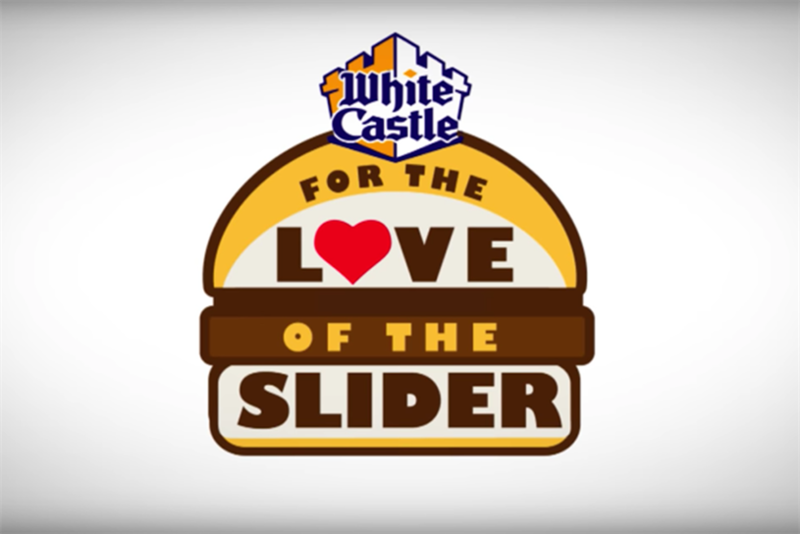 White Castle’s latest digital campaign, "For the Love of the Slider," features all four of these world-class chefs reimagining the brand’s Original Slider (or, as its known to true fans, the Belly Bomber). Baker, for example, makes hers with a little Cajun spice. Lee will use Southern flavors, and Adino’s will have a Filipino taqueria twist. The creations are being revealed in four 7- to 10-minute episodes airing on the YouTube channels of Tastemade, a culinary video network, and FOODBEAST, a food news site. Both companies partnered with White Castle’s creative AOR Resource/Ammirati, based in Columbus, OH, to produce the shorts. The media will ultimately migrate to Tastemade’s Snapchat Discover channel and White Castle’s own website and social media. Yes, the chefs were selected because they happen to have restaurants in White Castle’s core markets, but the connection is more authentic than that, said the brand. "They had to submit why they wanted to partner with us, so we weren't looking at this as we're trying to buy some sort of brand ambassadors," said Lynn Blashford, White Castle vice president of marketing. "They had to be Cravers and had to have a story connection to White Castle to even make the list. You're either a craver or you're not, and we just love being able to provide ways for our Cravers to show their talents." The first episode, starring Baker, aired on Nov. 1, and subsequent episodes will appear every two weeks. The digital-first campaign is a direct attempt for the 95-year-old brand to appeal to a younger audience. "In our media mix, you start to see more thoughtful planning against how do we reach those who are not necessarily that interested in traditional advertising and just really shifting those brand perceptions through storytelling," said Miranda McCage, associate director of client service at Resource/Ammirati. "So if they know White Castle as an older brand, does that brand still have relevance to them today and does it also feel like a brand that’s bringing new, bold flavors?" The miniseries is also an attempt to change brand perception, from an after-party indulgence to a dietary staple. Last month, Foursquare and Swarm declared White Castle the winner of the late-night snacker. The brand qualified for the honor because the bulk of its traffic comes between 10 p.m. and 4 a.m.
"Having started in 1921, we have 95 years' worth of creating that late-night habit, so that's not a bad thing at all. We embrace that. But yes, we do serve Sliders all day," Blashford said. "There are some people that might not be thinking of us [for their daytime meals], and this really does help to expand how White Castle can fit into their lifestyle." Even those who don’t live near a White Castle restaurant can grab a box of Sliders from their grocer’s freezer aisle, and this campaign ties retail and restaurant together for the first time. "For retail, we really want people to be looking at how The Slider can fit into some of their meal preparation where somebody may be just reaching for Sliders in their freezer as a backup," Blashford said. "This can be something that might inspire them to make [Sliders] the center of the plate." This campaign comes on the cusp of White Castle’s new Thanksgiving flavor announcement, so these gourmet renditions may be the start of the brand’s next century of reinvention. Who will build the million dollar brand bot?